In its combat operations during WWII, the German Army faced countless water obstacles, especially in the undeveloped tracts of Russia. Many attempts to overcome such water tributaries were made, and one of them was via amphibious vehicles. Though not as well known perhaps as the Landwasserschlepper, one of these amphibious vehicles was known as the Panzerfähre, which translates as “armored ferry.” This vehicle was essentially an armored amphibious tractor that was designed as successor to the aforementioned unarmored Landwasserschlepper. 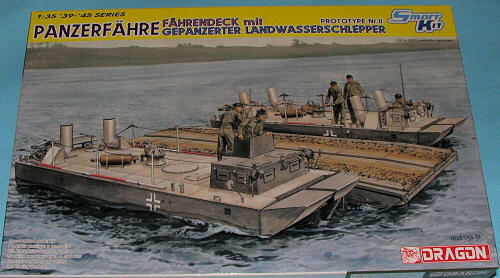 The Panzerfähre (PzF) was designed to work in pairs, with a self-floating pontoon nestled between them. In this way, they could ferry vehicles and light tanks across water obstacles. The PzF utilized the hull of the Panzer IV. However, as Germany’s tanks gained in weight as the conflict wore on, plans for the Panzerfähre were dropped in 1942 as it wasn’t capable of carrying the heavier tanks then being produced. All in all, only two prototypes were completed, and the Panzerfähre never entered series production. Both examples saw service on the Eastern Front from mid-1942 onwards. 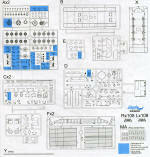 Dragon has created a kit of the second prototype of the Panzerfähre. This make it a logical addition to the previously previewed Prototype #1. What makes this kit special is the inclusion of the pontoon ferry as well as the LWS tractor. When the two prototypes are joined together, they’ll make a complete panzer ferry. This LWS has many different parts compared to the first kit – a couple of examples include the driver’s compartment and the absence of the two air intakes. Here, from the Dragon PR folks is a listing of the features. Instructions are well drawn with the usual Gunze paint references. 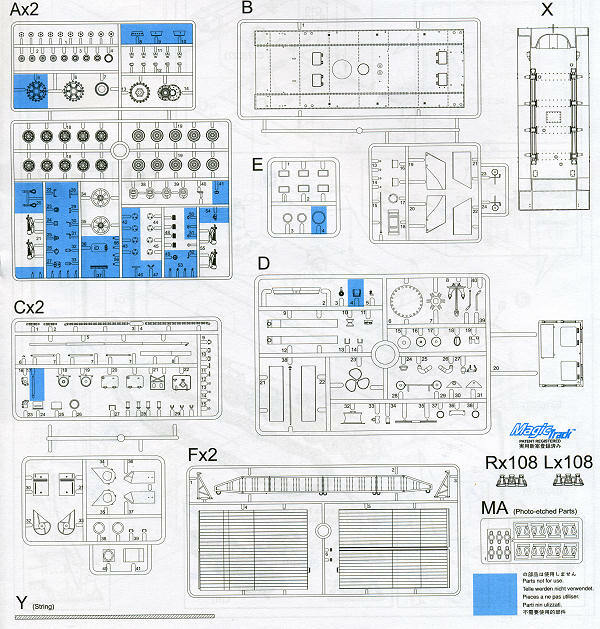 A well done but rather generic decal sheet is included with the kit. Since this uses Panzer IV chassis, much of the kit will be familiar to those of you who have built a number of Dragon armor kits. The Magic Tracks are a highlight of this one with the individual links and the etched brass is minimal and well thought out. For one thing, it will make a most interesting display either by itself or with the #1 prototype.